The scientific programme includes invited talks (40 min.) and original contributing talks (20 min.). All speakers are expected to submit abstracts of their talks in order to prepare a booklet that will be available to all participants at the conference time. Beside of brief results description and bibliography, be sure to include your and eventualy co-author's names and affiliations. AMS subject classification and keywords will be helpful. Prepare your abstract using the template. Abstracts should be sent by e-mail as both TeX and PDF files. Try to limit the length to one page, if possible. 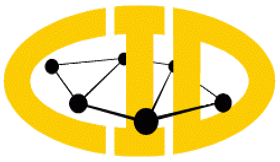 We kindly invite all participants to contribute to the Proceedings of CID Workshops, published as the special volumes of Discussiones Mathematicae Graph Theory journal. Please visit DMGT journal site for further details and CID 2003-2013 Proceedings. All papers will be refereed according to the usual standards of DMGT journal. Simultaneous submission of papers to other journals or proceedings is not allowed. If you need any assistance concerning your submission please contact Danuta Michalak, Managing Editor of DMGT.